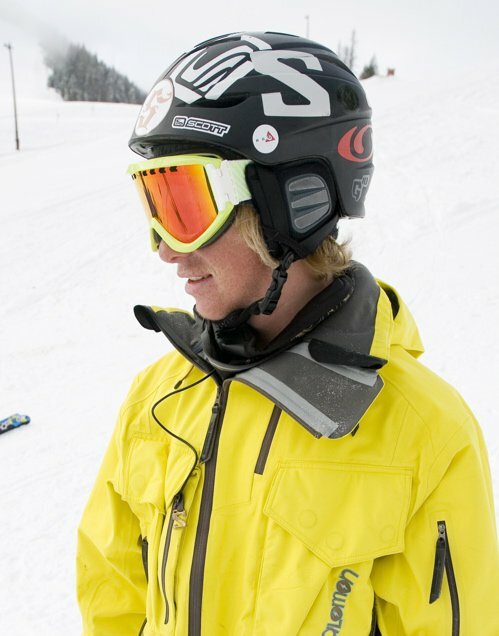 SALT LAKE CITY, UTAH &ndash; October 1, 2008 - Discrete Sport, LLC, a rider owned and conceived headwear brand in the wintersport industry, is proud to announce the addition of Dane Tudor to their athlete program. Dane is geared up for an impactful winter with a full competition schedule, filming, and shooting.&nbsp; Equipped with a bolstering bag of tricks, ready to showcase Discrete and make a solid addition to the athlete team. Historically Dane&rsquo;s strength is big mountain, winning countless comps in the junior category.&nbsp; In 2007/2008 Dane turned 18 and took 1st place in the Canadian Open, and picked up 3rd place at Crested Butte Extremes.&nbsp; Dane won the junior category in Crested Butte Extremes the previous 4 years in a row.&nbsp; He also placed 2nd in the New Zealand Freeskiing Open this past summer. Discrete has committed to sponsor Dane because in their eyes there is nobody else out there consistently getting podiums internationally in big mountain comps and then laying down slopestyle runs displaying ridiculous spins both ways and technical rails like Dane does. Dane&rsquo;s stand-out part in the Theory-3 movie &ldquo; The Journal&rdquo; this year showcases his incredible versatility.